Alejandro shares his lectures around the world, both in Spanish and English. China, India, Ecuador, Colombia, Portugal, Spain, USA, Denmark, are some of the countries where Alejandro has participated as an international lecturer. Participants to the workshops come from Spain, United States, Puerto Rico, Honduras, Panama, Argentina, Chile, France, Romania, Senegal, Nigeria, India, China, Korea, Russia, Ukraine, Germany, Denmark, Italy, UK, Portugal, Ecuador, Venezuela, Colombia, Brazil, Peru, etc. Alejandro earned the respect of the group right from the very beginning. His talks are full of sales and negotiation content, and lots of laughter! He has managed to touch the hearts of the audience with stories, data, throwing his Frisbies and throwing his Showtime balls! He is a speaker that puts the audience in the center of the action. Thanks for coming to Colombia. Alejandro does what he promises. He assured us we would have three solutions and kept his word. And it’s not only the three solutions it is the way he presents them. He uses a methodology that wraps you in so you can quickly understand. Alejandro had the audience in his pocket in less than a minute! His lectures in Quito and Guayaquil have mobilized participants. He made them laugh, mourn, take lots of notes, participate in exercises, even throw paper balls around the stage like crazy! And all with a goal, that the audience receive tools to sell. We want more! Alejandro´s Negotiation workshop works for us regardless our managers come from China, India or Portugal. His workshop is dynamic, pragmatic and instructive. It has implemented a common negotiating language in our organization. We Have repeated Alejandro’s negotiation workshop Because We really enjoyed His first workshop in China. We were captivated by him Because it is very focused on facts, so we brought him to India to deliver workshops for all our organization in Delhi and Chennai. We love Alejandro! Alejandro´s sales model focuses on the customer. In his workshop he helps us to discover for ourselves the way to help the customer to buy. 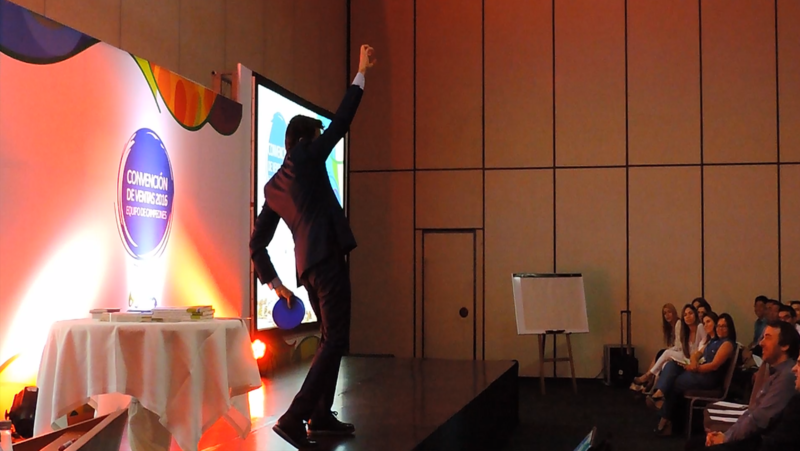 His sales workshop is energetic, fast, full of content, exciting and fun. Alejandro has developed a Negotiation Model as well and a Leadership model which is well liked within our organization. Whenever he comes to see us we receive concrete tools-and also have a lot of fun!